A JR Chuo Line station known for its izakaya streets, hidden cafes, and cherry trees in Inokashira Park, Kichijoji is a popular stop for everyone from couples to the elderly. The place offers most forms of entertainment but is somewhat less known for one, that is, art. Despite the station’s relative proximity to the Musashino Art University, the art scene is still developing in Kichijoji, with only a few galleries fully committed to exhibiting contemporary works. There is the Kichijoji Art Museum, currently showing work by Masuo Ikeda, but it is rather overshadowed by the Ghibli Museum, nestled in neighboring Mitaka. However, the city’s atmosphere last month very much emphasized the artistic when the area was transformed into a site of creativity and debate. A ten-day festival called TERATOTERA Matsuri literally took over Kichijoji in late October, occupying various department stores and supermarkets around the station for installations and performances. The event was jointly organized by TERATOTERA, a creative group that organizes art projects along Chuo Line stations from Koenji to Kichijoji, and the Tokyo Culture Creation Project’s Tokyo Artpoint Project series, and, included installations, musical performances, dance, film, workshops, and a symposium. It also collaborated with another group, Project Fukushima, headed by musician Yoshihide Otomo, and organized a separate project called “Tokyo-Fukushima”. 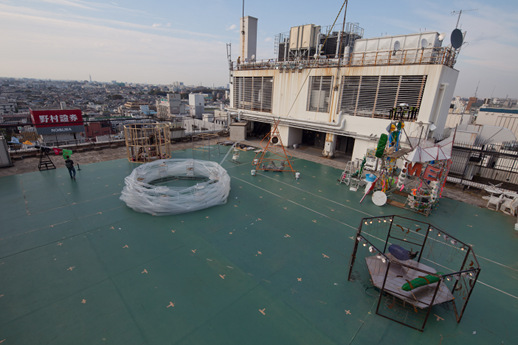 In concept, the matsuri (festival) was about post-earthquake restoration and energizing Tokyo with art, with the additional aim of speculating on the nature of artistic practice after the earthquake under the theme of “post-”. However, these conceptual elements seemed less irrelevant as the event came across as less an art event and more a Japanese “matsuri”, focused on creating human connections and with most of the fun coming from being a participant instead of a passive viewer. Not only professional artists and musicians, but also ordinary citizens gathered together in Kichijoji during the ten days and expressed their optimism towards a brighter future. TERATOTERA Matsuri was mainly comprised of performances and workshops, one of which was organized by Ichiro Endo. A self-proclaimed “future artist”, Endo is known for his interactive style and focus on forming human bonds in his projects. For the matsuri, Endo provided a number of installation pieces and also organized a workshop. 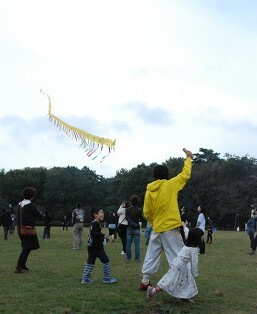 Titled “Future Dragon”, participants were asked to write down their future goals on small, yellow kites. The worktable was set in the center of an underground shopping mall inside Kichijoji Station, attracting onlookers and newly recruited participants who didn’t know about the event. Marker in hand, adults and kids alike scribbled down their hopes for the future. 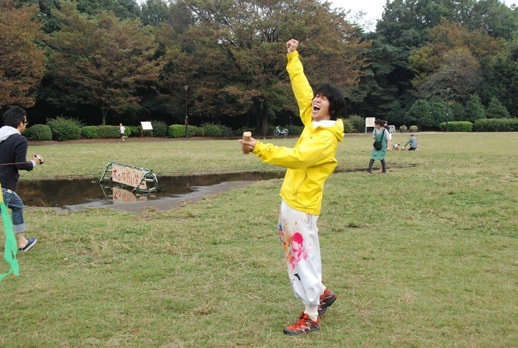 When the time came, everybody walked out into an open field in Inokashira Park where Endo tied together the kites with one long string and asked each person to line up and hold their “dream”. “Please let go on the count of three!” Endo yelled and one, two, three… as participants exclaimed in awe, the long kite quickly flew up into the air. The yellow stream of kites fluttered in the sky as everybody looked up at their future dreams, smiling and talking amongst themselves, sharing the experience with each other. 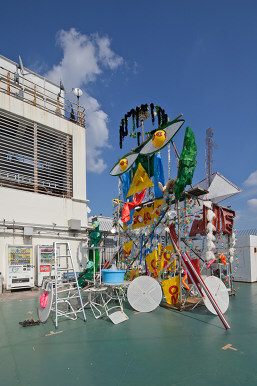 Alongside such participatory events, there were also installations interspersed within the Kichijoji area. 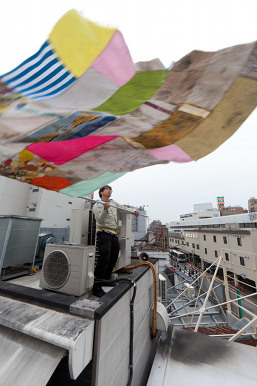 A group of artists showed their work on top of PARCO, emanating the feeling of a run-down circus, while some exhibited in Harmonica Yokocho, a maze-like side street comprised of bars and izakayas. 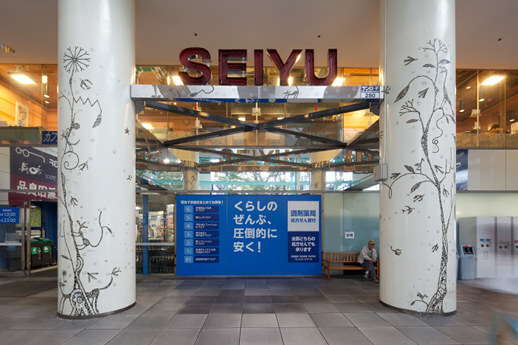 One artist, Yusuke Asai, decorated the street in front of Seiyu department store with white tape. Others provided film pieces, which were organized into three programs and aired at Kichijoji Bauhaus. Contributors included artists such as Koki Tanaka, COBRA, Taro Izumi, and Chim↑Pom. The pieces were varied in content, with some focused on the March 11 earthquake while others less so, but they were organized in such a way that made each program a meaty fifty-five minutes. Program A, for example, aimed to balance the lighter works with the more contemplative. Tetsushi Higashino’s “3BG8/32” was the former, a piece created out of excerpts from the popular Japanese television series “Kinpachi Sensei”. Higashino selected recurring scenes from several episodes, combining them together to create six minutes worth of children repeatedly rushing to their teacher or Kinpachi running to the 3-B classroom over and over again. Higashino’s tongue-in-cheek depiction of the series’ unchanging plotline aroused laughter from the audience. The latter style was exemplified in Yuko Ozawa’s film “Kasaneru” (Overlap), in which she questioned the division of fiction and reality as well as characters on film and the audience. Ozawa repeats a clip from an American monochrome film, each time with different subtitles. The text begins as conversation within the narrative framework but gradually became meta-commentaries by the hero and heroine, reflecting on their situation as characters on film. In the end, the two comment on themselves on screen, viewing the film from the audience’s seats. The program ended with Keisuke Sagiyama’s “Facing the stormy seas” after an airing of Chim↑Pom’s short documentary narrating their guerilla stunt involving Taro Okamoto’s mural, “The Myth of Tomorrow”. 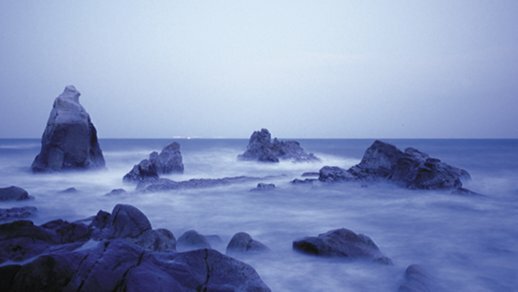 The energy exerted in Chim↑Pom’s film was leveled out by the ceaseless waves captured in Sagiyama’s, a somewhat ominous image reminiscent of the tsunami, and allowed for a smooth and satisfying end to the program. The matsuri also included a slew of other events such as dance performances on top of Tokyu Department store, a live music performance in Musashino Public Hall, and two symposiums. 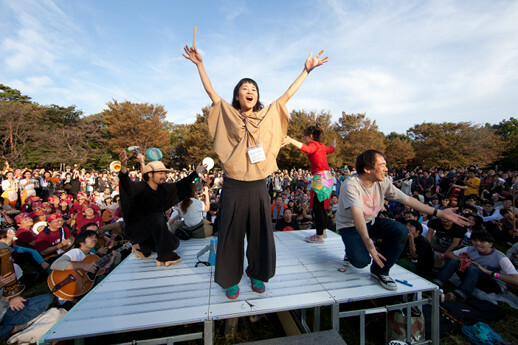 In addition to the main festival, the sub-project “Tokyo-Fukushima!” itself organized a different set of programs, such as an open-air “orchestra” that welcomed all those interested in making music out of noise. All in all, the ten-day event was an exciting if sprawling mix of different over-lapping programs that was greatly enjoyed by all those who took part in the event. Some had traveled from Fukushima, and a few all the way from Sendai, to participate and intermingle with those with a similar cause, and their satisfaction was visibly seen in the smiles on their faces.